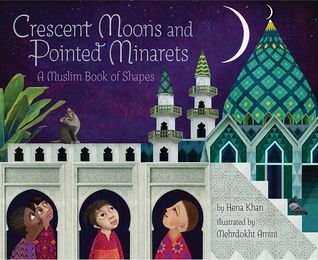 GoodReads Summary: From a crescent moon to a square garden to an octagonal fountain, this breathtaking picture book celebrates the shapes—and traditions—of the Muslim world. Sure to inspire questions and observations about world religions and cultures, Crescent Moons and Pointed Minarets is equally at home in a classroom reading circle and on a parent's lap being read to a child. as the day passes by." Hi Jen, I have been searching your blog for a way to explore allegory. I know that my young readers and writers (aged 9-11) will be able to grasp that often books are not what they appear to be about on the surface. I found rposts about metaphor but not allegory. Any ideas??? Next post??? Absolutely beautiful - makes for a wonderful addition to our collection of Ramadan books. For those who want children to grow up knowing not all Muslims are terrorists, this book introduces youngsters to shapes using Islamic words ( with pronunciations and definitions at the end of the book) and little poems. 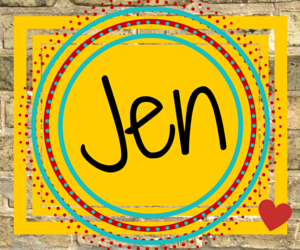 I gave this book to a Catholic mother, and she loved it.